The tables are set, the food is prepared and the wine is poured. All we are waiting for now are the guests. Special guests that is; members of The University Women’s Club of Vancouver at Hycroft Wine Appreciation Group: 30 women who enjoy wine. In July this year, a friend who is a member of this group asks me to conduct a wine tasting for them, perhaps talking about the Confrérie I belong to in SW France; the Confrérie du Raisin D’Or de Sigoulès, which focuses on wines from the Bergerac Wine Region. A reality check is that hardly any wines from the Bergerac wine region are represented in British Columbia. This encourages me to refocus the tasting more broadly to present wines from my blog or employing a little lateral thinking, a good facsimile of a wine from my blog. These become the criteria for deciding on wines for the tasting event. My challenge in presenting a wine tasting to a discerning group who regularly attend tastings is to make the event interesting. I decide to start with a chilled Sauternes as an aperitif, to have one other white wine and three red wines of varying intensity to pair with the chosen menu. The choice of menu created by the chef for the buffet dinner is Mediterranean or Spanish. I select the Spanish style buffet with Catalan fish stew, paella with prawns and chorizo sausage, Spanish omelet and a salad. This menu offers a variety of flavours to pair with wine. Perhaps surprisingly, I do not present a Spanish wine. Although I enjoy Spanish wines, I have not yet written about a Spanish wine on my blog so they don’t fit my criteria for this event. The list of wines I presented is below with an explanation of why I chose each wine and how they meet the “Wines from my Blog” criterion. Dundarave Wine Cellar in West Vancouver was helpful in my selection of most of the specific wines, Not wanting any unwelcome surprises on the wine tasting evening, I arranged an informal tasting of two of the red wines before the event to make sure I was happy with them and I also tasted the Sauternes and white Bordeaux in advance. Here are the “Wines from my Blog”. It is common practice in SW France is to drink a chilled late harvest botrytized wine as an apéritif. Other ways to enjoy this type of wine include: with pâté, with blue cheese as well as with sweet desserts. I served this wine chilled as an aperitif to welcome the group to wine tasting event. I have written several times about the great late harvest wines in the Bergerac wine region, namely, Monbazillac and Saussignac. I also recently wrote about Loupiac, a Bordeaux region late harvest wine. see “Loupiac AC: a hidden gem”. Sémillon is the predominant grape used in these wines. It is blended with a small amount of sauvignon Blanc that adds the touch of acidity and the refreshing note. 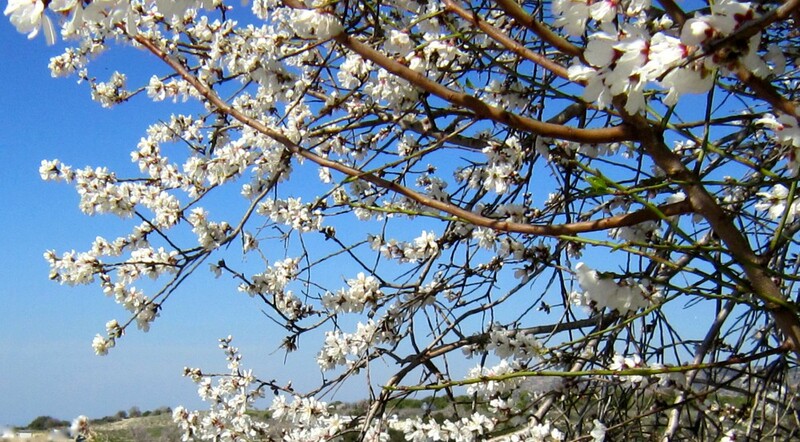 The aromas include blossom, apricot, honeysuckle, which is the trademark of botrytized wines. The taste of honey and apricot is also very evident. I found this wine to have sufficient acidity to be fresh in spite of the sweetness. This particular wine was awarded a gold medal at the Challenge International du Vin in 2013. White Bordeaux, predominantly Sauvignon Blanc – with almost the opposite of the percentages in Sauternes – is typically described as “crisp, elegant and fresh”. I chose this wine with the Catalan Fish Stew in mind. This wine is regarded as one of the best example of a White Bordeaux available in British Columbia and compares to the white wines from the Bergerac Wine Region which I written about frequently. I enjoy lighter and medium body red wines and find they pair well with many foods, including fish. So to encourage this flexibility and move away from the red wine with meat and white wine with fish approach, I served two red wines that suit both meat and fish. The softer Italian wines suit this approach well. I chose this Montepulciano d’Abruzzo as an alternative to the Cesanese red wine we had drunk in Italy earlier this year and which I wrote about in “War Heroes and Wine”. Only a small quantity of Cesanese wine is produced and therefore it is not exported. An alternative was required. I have tasted Montepulciano d’Abruzzo wines before and really enjoyed them. This grape variety comes from near the Adriatic coast and is not be confused with the VIno Noble Di Montepulciano from Tuscany. The Montepulicano d’Abruzzo wine is softly fruity, slightly sweet sour and paired well with many of the foods from the Spanish menu. This wine is truly a “wine from my blog” as I have written about the Meyer Family Vineyard wines several times, enjoying them both at home in Canada and also in London, where they are selling through Marks and Spencer food stores. 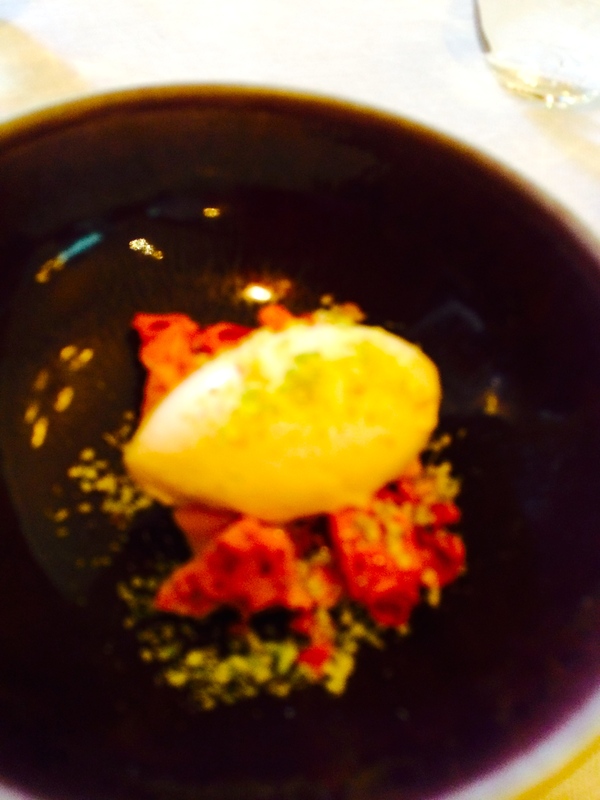 See “From Terroir to Table”. Pinot Noir is such a flexible wine and I enjoy it with a variety of foods in a lighter palate including fish, chicken, duck etc. And it can hold its own when paired with our British Columbia Sockeye Salmon. To quote Vancouver wine writer Anthony Gismondi who has written about the 2014 McLean Creek Road Pinot Noir: “…the nose is a mix of rhubarb and strawberry with a touch of forest floor”. For those who follow the points system, Gismondi gives the 2014 McLean Creek Road Pinot Noir 90 points. The grapes are also grown using organic principles. 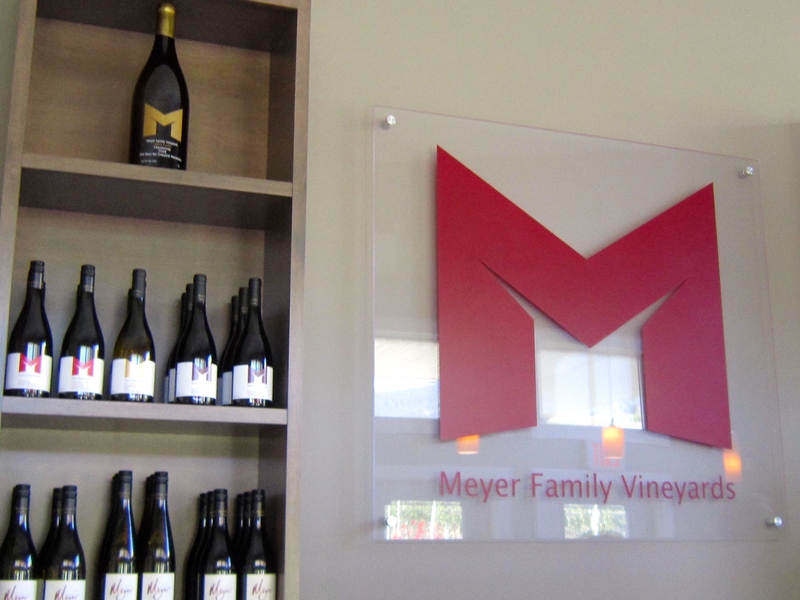 The Meyer Family pinot noir is a particularly fine example of Burgundy style wine and is recognized by Britain’s Decanter wine magazine in April 2016 as one of the best expressions of Burgundy style wine outside Burgundy. Praise indeed. In the 2016 National Wine Awards of Canada, Meyer Family Vineyards was named #5 winery in Canada, #3 in BC and #3 small winery in Canada. Special thanks to JAK Meyer for donating three bottles of this wine to the tasting event. Lastly, I wanted to present a wine that could stand up to a garlicky, spicy Chorizo sausage in the Paella. Looking for a dark, feisty wine from SW France, and thinking about a Tannat, Dundarave Wine store suggested this Argentinian expression of this grape variety. I was first introduced to Tannat wine through a Confrérie visit to Tursan deep in SW France. Tannat is a red-wine grape variety with origins in the Basque country on the border between France and Spain. The most famous Tannat wine in France is made in Madiron. More recently, Tannat has been grown and made into popular wines in both Argentina and Uruguay. Tannat is typically a rich, intense wine, tannic with jammy blackberry, stewed berries, autumnal aromas and tastes. The South American expressions are softer in terms of tannins and perhaps more approachable for today’s consumer. The 2014 vintage, which we taste, was awarded Bronze from Britain’s Decanter World Wine Awards. By now, the food has been eaten and all the wines tasted. There has been lots of chat, laughter and good humour among those present. So what’s the verdict of the Wine Appreciation Group after tasting this range of wines: two whites, three reds, and four countries represented: France, Italy, Canada and Argentina? I ask them to fill out a feedback survey. Positive feedback received. The group enjoyed the chilled Sauternes as an aperitif together with the variety of wines presented and the information about food and wine pairing. I enjoyed myself as well. I pack up my corkscrews, my wine apron and head home. We are in the in-between zone, that time between Christmas and the New Year: recovering from the wonderful festive time and not yet in the grip of New Year resolutions. Sometimes, these few days can provide an opportunity to catch up on outstanding items. For now, it’s a time for reflection. This includes reflecting on elizabethsvines. I look back at my 10 published postings over the year. My aim is always to write about wine in the context of art, music, literature, science, recipes for cooking, history, restaurants and about wine as an expression of culture, as in the Confréries in France. In 2015, my wine repertoire includes the Bergerac Wine Region in SW France, a specific British Columbia wine and references to particular South African wine, to Champagne, Port and hot punches (aka the Dickensian Smoking Bishop). It’s a personal focus. Here are a few updates related to wine stories I have written about in 2015. JAK Meyer of Meyer Family Vineyards in Okanagan Falls in British Columbia has mentioned to me that their Pinot Noir is now available in 169 stores across the United Kingdom with Marks and Spencer, the food retailer. 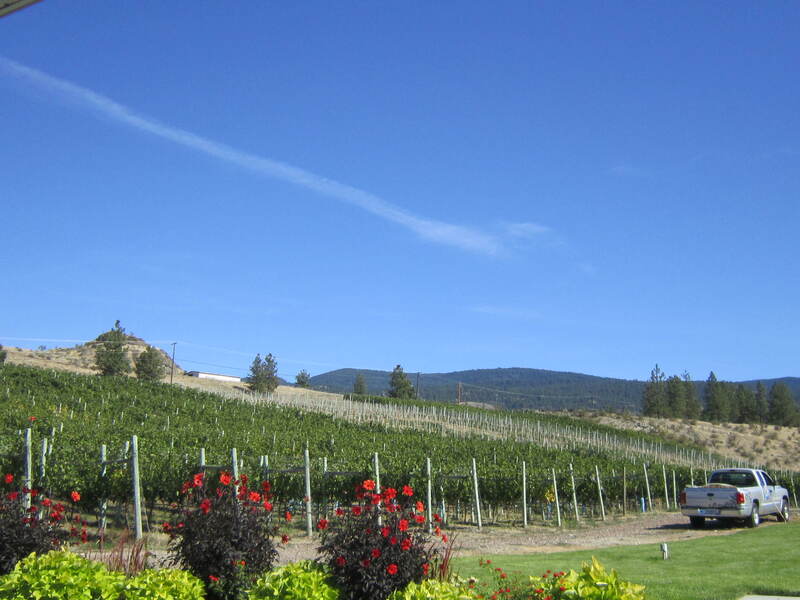 This is an exciting development for this British Columbia winery. 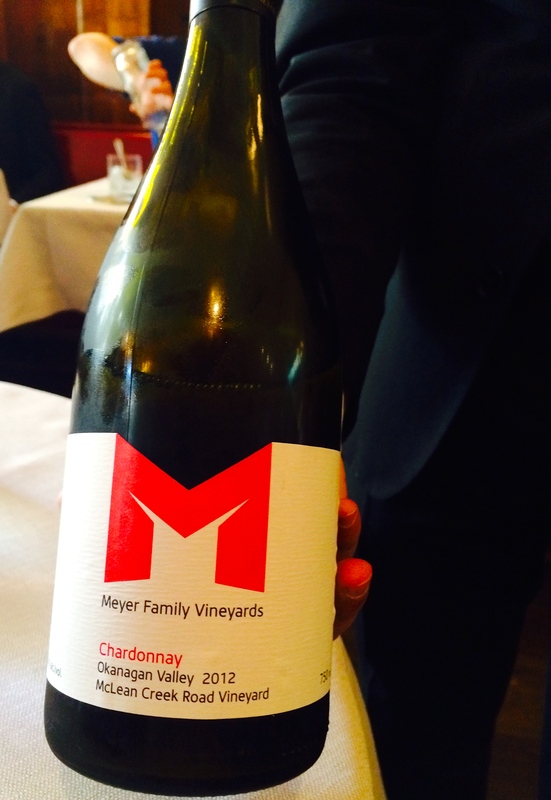 Last February, I wrote about their wine in: “ From Terroir to Table: Meyer Family Vineyards wines from Okanagan Falls, British Columbia to Mayfair in one leap”. Klein Constantia Vin de Constance and Warre’s Port which I wrote about last January in “The Wine Ghosts of Christmas Past (with a toast to Charles Dickens)”, were featured in the menu for the October 20th State Dinner at Buckingham Palace for the President of China, Xi Jinping. More specifically, the Palace menu includes Klein Constantia Vin de Constance 2008 and Warre’s Vintage Port 1977. In April, when I wrote, “Bergerac Wine Region – Chateau Le Tap addresses customer interests”, I jokingly referred to Bertie Wooster of P G Wodehouse fame and his apparent love of “half bots” of wine and commented on a noticeable consumer interest in smaller bottles of wine. This consumer interest was brought home to me again the other day in a supermarket in Paphos, Cyprus when I saw on display a large selection of wine being sold in small wine bottles between 187 ml to 200 ml. I hope you have found the 2015 posts informative, interesting, perhaps entertaining. I am always interested to know. In the spirit of Robbie Burns 1788 poem, Auld Lang Syne, let’s raise a cup of kindness. Best wishes for 2016.